The AFLW competition was never a case of ‘Married at First Sight’ as it came after four decades of women’s football in the VFLW and interstate. The honeymoon has gone well after the wedding, the great night at Princes Park. Despite the Gabba shemozzle, AFLW has been a great success with two exciting teams, Brisbane and Adelaide, contesting the grand final. Suddenly, women’s football is on the big stage, driven by its own excitement and passion and by AFL media power (top players become media stars) and by traditionalism – a return to suburban grounds and traditional rivalries such as Carlton versus Collingwood. Its success surprised the AFL who had intended to start the competition in 2020, and its television ratings have blown away other women’s international sports and A-League soccer. Great crowds and intense football made for a brilliant beginning, but can the AFLW build on its triumphant debut? Will the marriage grow? 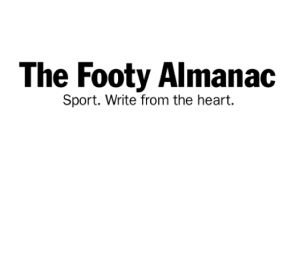 Women’s footy has been a great success, but it has problems. On the plus side, AFLW’s fast development has showcased the energy, strength and skill of women’s football, even with costs. Several players are in their thirties, earlier forced to hang up their boots in their teens. Other talented players, coming from different sports, including soccer and athletics, basketball, cricket and ultimate frisbee, are juggling jobs, including medicine, education and baking. New teams, created only weeks before, have begun to gel on the field. The best play, the skill of Erin Phillips, Darcy Vescio, Daisy Pearce, and Sarah Perkins’ goal kicking skills has been a delight to watch, while fans love the dedication, the tackling and the fast movement of the ball. Is everything rosy in the game? Not quite. While the Carlton-Collingwood game, brought excitement back to Princes Park, its packs contrasted with the skillful and running 2016 Whitten Oval exhibition game. During 2017 several stars have been nullified including Collingwood’s Moanna Hope, the six-goal star of the 2016 match. That opener, with some scrambly play, tertiary bounces and rolling mauls did not always flow like the best open and fast women’s football. Sixteen players on the field can return us to the open play of an earlier AFL era. As in local football, part time players lack the aerobic fitness to run the length of the ground all day. The result is at times a more open and watchable game. However, is the game being AFL-ised, leading to mauls, walls of players and endless stoppages? The fresh, natural interviews of the first rounds retreated slightly as a few stars declared that ‘we won because we kept to our structures’, a change of words with darker significance. Most AFLW coaches now emphasise the defensive wall over attack. The result is less high marks, less goals, and less open play. At times, the rolling maul has disfigured the women’s game as much as the AFL. As the AFL knows, it is not what fans want. Tackling and passion, Yes, but ‘messy football’ and multiple bounces to clear scrums, No. As AFL clubs participate in pre-season experiments to reduce congestion, we need to remember that the AFL coaches created the forward press. Led by Paul Roos and Ross Lyon, they orchestrated the pressure game that denies skills. They changed the game, not the Laws of the Game committee or the umpires. Over 30 AFL players inside the forward 50 leads to heavy tackles, accidental collisions and less high marks by key forwards, despite exceptions including the Western Bulldogs’ running game and Hawthorn’s precise long-kicking. Is women’s footy in danger of becoming ‘AFL-ised’ in the worst, not the best, sense? Not just attractive and commercial, popular and high rating and well-run. But AFL-style coaches producing drilled players, tackling machines and congested games? The AFLW in 2018 must avoid the danger of what Ted Hopkins called ‘Ugby’, a fusion of ugly and rugby, and I call ‘Tackleball’ and ‘Stoppageball’. Positive action, including TAC Cup-style rules to ensure open footy, will ensure AFLW prospers. An open, creative and intense game will appeal to a new audience of footy followers. Creative AFLW football can ensure the romance continues in a happy and long-lasting marriage. It will be good for women and good for footy, in contrast to the tackling contests created by those evil scientists of AFL footy: the coaches. * Stephen Alomes of RMIT University is the author of Australian Football The People’s Game 1958-2058. The new edition of the book is available from the author: salomes@melbpc.org.au. Steve, it’s an interesting point re the influence coaches within the AFL system will impart on the women’s league. There were definite signs of a focus on defensive structures, etc. But the teams that seemed most focused on such proved generally not to be the most successful. And in the men’s AFL, there seems a clear move to a more open, attacking style. If that persists, I can’t see the AFLW being immune to that influence. The style of game in the first couple of AFLW rounds didn’t really represent the season as a whole. Having waited for so long, the women attacked those opening rounds with a frenzy. Thereafter, an equilibrium appeared, and the games generally became more open. Midfield running power and an ability to covert up forward became the factors that usually determined results. How it develops from here will be a fascinating case study. This is probably the best analysis of AFLW game styles, & strategic issues, I have read. I am also disappointed that the games have had so many stoppages, & have so much congestion cf the 3.9.2016 WB v. Melb. free-flowing women’s game -which was magnificent. This style has encouraged the minority of knockers who make disparaging comments about the AFLW -& contributed to the general low scoring. The games were still enjoyable to watch, because of the fierceness of the contest & tackling. I had hoped the 16-a-side would have given us more free-flowing games. Sadly, I think the rule of a minimum (3?) players from each team must be inside each 50 mtr. line, whenever there is a ball-up for a stoppage, or throw-in, should be introduced. There should also be normal time-on in the 2018 AFLW. Much more open play allows quick, LIGHT weight/SHORT players to be selected, & be good players. The more big pack football occurs, the more likely a light weight player will get caught up in packs, & be smashed -& possibly injured. You wrote an article c. 8 years ago, stating it would be beneficial for AF if more short/ Asian players were playing AF. Open football would facilitate this -they would enjoy the game more, as they could be more valuable players, “finding/leading into space”. AF is missing out having so few Asian/very short players playing -8%(?) of the population. Up until the early 80’s, it was common in the VFL for nearly every team to have some very short rovers, pockets &/or wingmen. These size contrasts (together with the much missed one-on-one contests) made the free flowing games FAR more interesting & popular. Per capita, VFL/AFL attendances have declined SIGNIFICANTLY since 1970. Melb.’s pop. has doubled, attendances now up c. 25% – cf average 1970 VFL weekly crowds of 130,000 & VFA average 30,000. Playing games often in strong heat & humidity, which causes sweaty hands, sweat in eyes, fatigue, poor decision making etc. contributed significantly to the scrappiness, stoppages, & low goal scoring. All games should be played after 6 pm -ideally 7.30 starts in the Aust. summer (assuming grounds have adequate lights, or portable lights). The skill levels would improve considerably, & be much more freeflowing. Playing games c. 3 or 5pm Fri., & before midday on w/ends, was ridiculous -have the AFLW in TV prime time, to maximise ratings. No more flat ovals -very poor viewing for the spectators eg Oly. Park, Brisbane SouthPines etc. The lack of goals has detrimental commercial ramifications for the AFLW -& ultimately, the remuneration that can be paid to the players. Broadcasters prefer plenty of goals -the more goals, the more ADVERTS they can show during each goal break. The media rights, therefore, would be much more valuable. The TV cameras & commentators should always have been set up on scaffolding in the outer -with the cameras scanning back to the more crowded, grandstand side of the ground. The experience & atmosphere for the TV viewer is enhanced with shots of animated, big crowds -cf. an almost empty outer. I did not like the different coloured strip at the bottom of the shorts. This is not a traditional Australian Football “look”. Stephen do you know/can you tell us about Women’s football between the two world wars. Correct me if i’m wrong but i believe there were some games played, maybe as curtain raisers to VFL clashes? . Can you add more? Thank you Stephen, I am late to this report so my apologies. Such a good analysis and discussion. Glen! there is a full history of the women’s game Play On: The Hidden History of Women’s Australian Rules Football by Brunette Lenkic and Rob Hess. Really worth buying and reading. It talks about all the games from the women’s games inception and of the games between the wars. It’s very comprehensive. Just a thought, I think there needs to be the 18 a side but like with the men’s, we need to limit the number in the mauls. I did notice as the season and games wore on, there were more skills and less of what we saw round one. I think both the fitness and the experience of playing together helped. Even if it was in the terrible dead of summer, it showed what magnificent athletes these women were. Stephen, thanks again. You always write such great pieces.